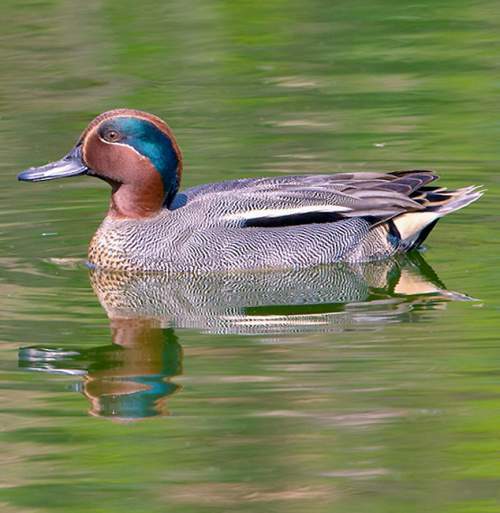 The Eurasian teal (Anas crecca) belongs to the family of teals, ducks, geese and swans the Anatidae under the order Anseriformes. 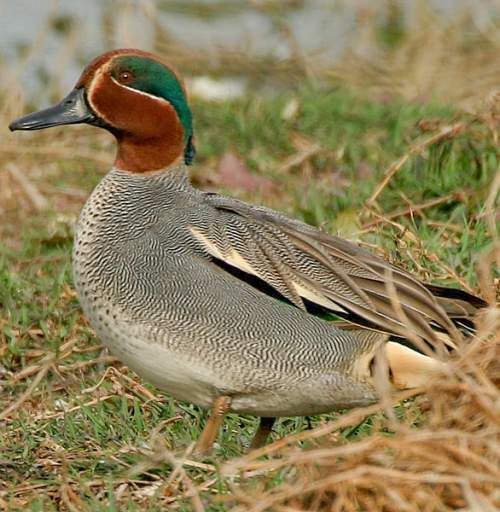 The genus Anas comprises thiry-one species of teals and ducks, including, Anas crecca (Eurasian teal). 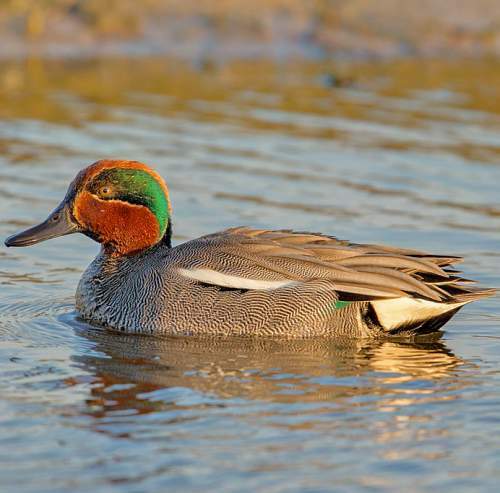 The Anas crecca teal species was first described by Carl Linnaeus, in the year 1758. 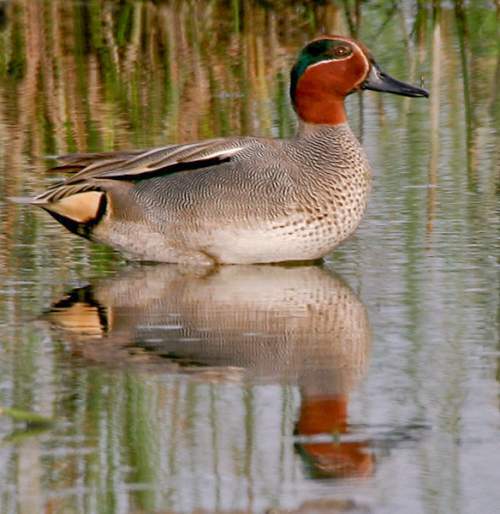 This teal species is polytypic and comprises two subspecies, viz., A. c. crecca Linnaeus, 1758 and A. c. carolinensis J. F. Gmelin, 1789. 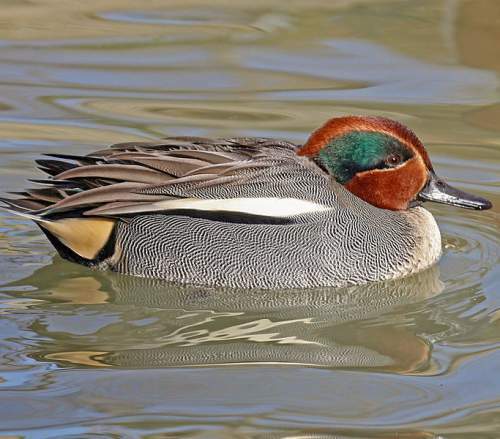 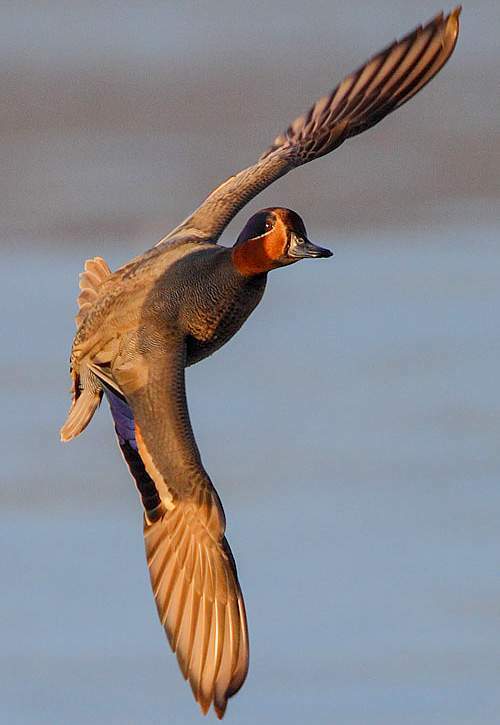 Current topic in Bird World: Eurasian teal - Anas crecca images.